Walt (Stebbins?) struggles with his addiction to doughnuts. 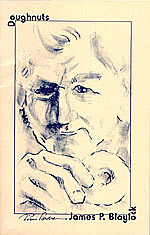 The Subterranean edition features cover art by Tim Powers, and an introductory passage wherein Blaylock laments the passing of many of the unique doughnut shops of Southern California.